I started a new learning group at church this last Sunday. I called it “Worship Through the Bible.” It is a combination of biblical survey and worship study. I want to dig into the bible and discuss how it informs and shapes our worship, both personally and corporately as the church. It was great dialogue and you can see some of the direction it went. 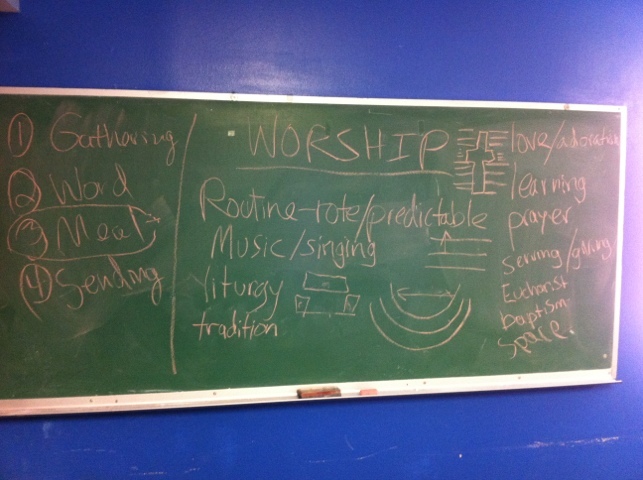 I took several diversions into instructing on ideas raised (such as the fourfold model and liturgical space). I might try to record next weeks class and post it as a podcast for anyone interested.